The Davisburg Firm is an updated version of the long-best-selling Baron Firm. It now has a TruCool cover that helps reduce body heat transfer while sleeping. This is truly a great value of a mattress and is even available in custom sizes! A VertiCoil innerspring unit offers contouring and durability while layers of comfort foam and quilt foam give the support and comfort you need in a medium-firm mattress. 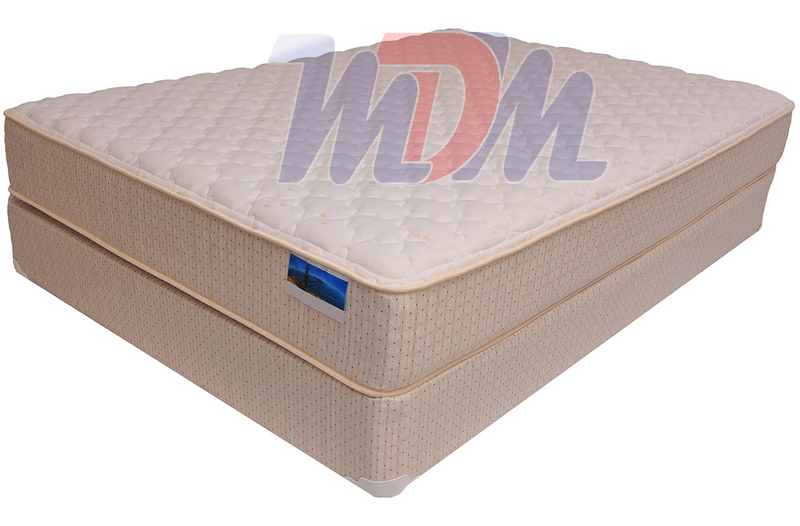 The foam encased edges help to reduce bounce, sway and motion transfer. There really isn't a better firm mattress on the market for this cheap price. Just like the Davisburg Pillow Top, the Corsciana Davisburg Firm offers the breathable, cooler TruCool cover and a comfortable and durable VertiCoil premium coil unit. This isn't a a brick of a mattress (like the Legacy Extra Firm) but provides a firm-but-contouring sleep surface and a nice foam encased edge that decreases on motion transfer. If you're looking for something medium-to-soft, give the Davisburg Pillow Top w/TruCool a look. It essentially takes the same build of this mattress and adds a pillow top - balancing out the feel a bit. If you're considering a firmer mattress and your focus is on having the strongest coil unit and foam encasement that you can find, look over the specs of the Stafford Firm with Continuous SuperLastic Coil.